Three lovely women represent common hair shades on this trendy flyer. 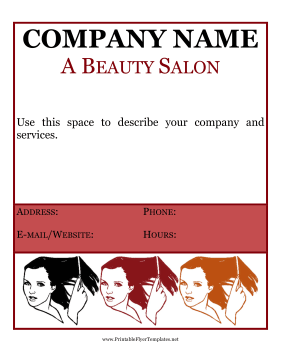 If you own a beauty salon or a hair parlor, this flyer is perfect for you. You'll be sure to reach your customer base with this bright and informative sign.